Back L-R Siobhan Black AMH, Louise Young Canal Court Hotel, Right Samantha Newell AMH. 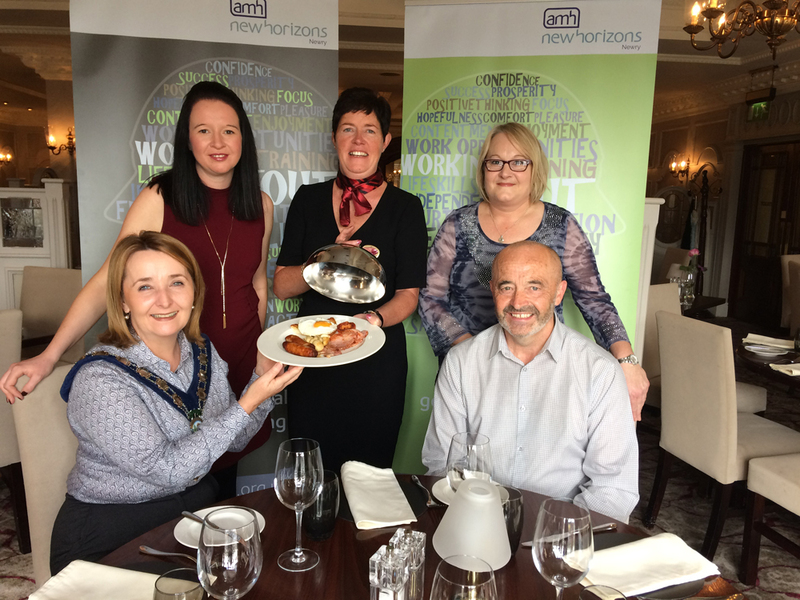 Roisin Mulgrew, Chairperson of Newry, Mourne and Down District Council, launches AMH’s Big Breakfast. The event is taking place on Thursday 12th October, 7am to 11am in the Canal Court Hotel Newry. Coinciding with World Mental Health Day, the event aims to raise awareness of poor mental health in our community which can impact all of us at some point in our lives. The event is open to members of the public and we would love to see you there. The cost of the breakfast is £10 and can be paid on the day.